Ok, all kidding aside, we all think of our bodies having to be in shape when the term golf fitness is bantered about. In this Part 3, I want to talk about Mental Fitness and how it is as important as physical fitness if you ever what to really perform well and enjoy the heck out of this game. A wise man once said, "Golf is played on a five-inch course -- the distance between the ears”. That wise man was Bobby Jones, who had to overcome a very bad temper and a loss of focus before his talent was allowed to flourish. This speaks to the importance of the mental side of the game that many professional golfers now address by employing sports psychologists. Many of the PGA, LPGA, European Tour and Web.com (formerly Nationwide) Tour players have Mental Coaches. Some of the most prominent coaches are Dr.Bob Rotella, Dr. Gio Valiente, Dr. Joseph Parent (Zen Golf), Lynn Marriott& Pia Nillson (Vision 54), Rick Sessinghaus, Dr. Tony Papiro and Dr.Shannon Reece. There are links below if you want more information on these professionals. Many Opinions on the Subject! I belong to several LinkedIn Groups (LinkedIn is sort of like Facebook for business people to connect). The members of the groups are encouraged to start discussions on a topic that would be relevant to the group’s members. One of the groups I belong to is named “A Golf and Business Networking Group”. A man in the group named Steve started a discussion with the question: “What is more important, the mental side of golf or the physical side of golf? 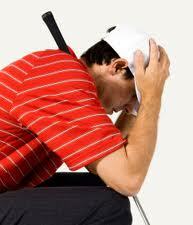 Should you be thinking about your target or some aspect of your golf swing?” Great question! I decided to be the first one to chime in with my opinion and wrote: “Steve, I think they are equally important. You just can't focus on them simultaneously. 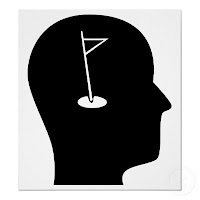 The mental side of golf is what gets you to the realization that you have to do something about your physical side. If you can mentally focus on your target, but can't perform the function and the movement pattern to get you there....frustration sets in. I think that is one of the most common flaws in golfers....massive frustration over the fact that they come to the course with a great attitude, want to have fun, focus on the target…and fire a banana into the next fairway, because they weren't prepared physically. Thanks for the question. Ken Pierce, GolfGym"
This prompted a comment from Jim Serwan • “Equal but different: Learn the mechanics but play the round with the mental. The more you can leave behind "learned" mechanics on the course the better. A major league pitcher can "learn" how to throw a curve ball in practice but has to "trust" in that ability during the game from the mound by visualizing the results he wants. Meaning that at some point you have to trust that you're smart enough to learn the swing and that your muscle memory will take over and allow you to get out of your own way when you play. Remember, it’s just a "shot". Each and every time”. “Jim, I agree with you that you have to trust your mechanics and your ability, and simply perform the "shot" each and every time. If it were only that simple this game would be a breeze for everyone who can control their thoughts. Of course, each of our backgrounds and expertise will direct our responses to the question of mental or physical importance. My background is more on the functionality and performance side of the equation which is why I think both are important for peak performance. Golf is a challenging individual game, and because there is a score involved, there will always be a striving for each of us to pen a lower one. If a person just wants to enjoy the outdoors with a good walk and doesn't really care about the score (I want to meet this person) they would have fun no matter what they score or how many balls they lose. However, the fact that this silly thing called PAR exists on every hole, it cries out for improvement each time you lace up your golf shoes. Just as the pitcher must have good mechanics that are so ingrained that he doesn't have to think about that part of his performance, so must a golfer have good feelings about his or her swing to be able to trust in the outcome”. This exchange went on and on with more and more comments from all types of “professionals” from the golf professional to the mental professional to the golfer and the golf teacher. 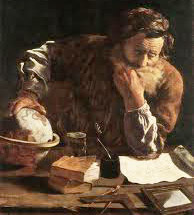 It pointed out that this game of golf is so complex that scholars can sit around a great table and pontificate about all the variables that need to be lined up neatly in order to hit the perfect shot while in the perfect mood, aiming at the perfect target. 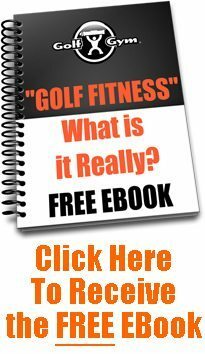 Golf Fitness – What is it Really?...The reality is that golf is supposed to be fun for all who play it, and the “Fitness” aspect of it needs to be developed both physically and mentally to perform at your best. Better performance brings happiness which encourages better performance. 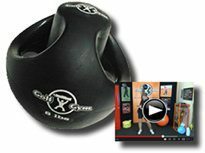 In Part 4 we will offer many training/conditioning techniques available to all golfers. 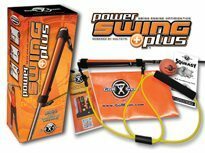 Ken Pierce is the President of GolfGym LLC and the creator of the GolfGym PowerSwing Trainer. From 1972 -1981 he officiated professional Ice Hockey in the WHA, NHL and the International Ice Hockey Federation, refereeing the Championship Game (Czech's vs Russians) in Prague, Czechoslovakia at the World Championships in 1978. He officiated the Opening Game of the Canada Cup Series in 1976 (Canada vs. Sweden). He created aerobic and fitness programs in the 80’s at health clubs in Southern California. 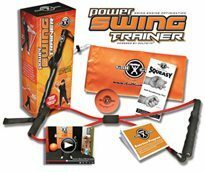 As an avid golfer he later created the portable golf fitness apparatus then called the “GolfGym”. 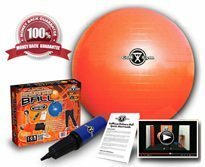 He grew the line to include many other golf fitness products. Ken and his wife, Vicki now live on South Florida and continue to run the GolfGym company. This is an excellent blog with great quotes and contribution from great coaches. I would agree with Dr Shannon Reece that the mental side of the game is the most important. Its our attitude that determines how we do anything in life including how often we train, how we improve our levels of fitness, how we prepare to play mentally. "How we do anything is how we do everything".